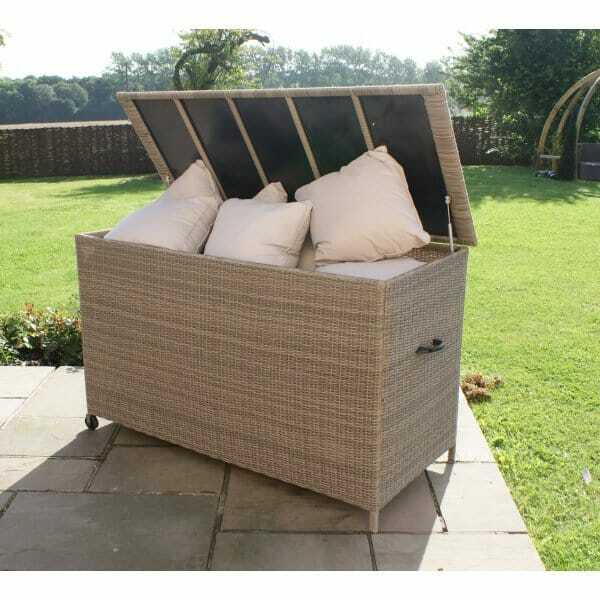 Maze Rattan Winchester Storage Box: The Maze Rattan Winchester Storage Box matches the Winchester range of rattan furniture and makes for a great storage solution for keeping all your cushions and your garden bits and pieces free from dust/dirt when not is use. The box has been lined with a perspex lining to help keep the the contents safe from the extreme weather conditions but it is advised to keep the box in a sheltered area of your garden. The synthetic rattan is UV protected which will maintain the natural looking colour year after year.